Join us for a monthly discussion with three long-time Seattle film critics who have much to say on the subject of cinephilia past, present and future. 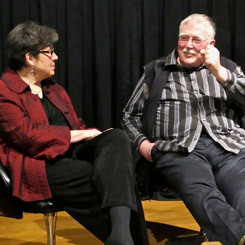 The event features former Film Comment editor Richard Jameson, Everett Herald/KUOW critic Robert Horton and MSN.com critic Kathleen Murphy. In September the critics take on ADORE, a new film at SIFF and Sundance that casts a definite spell, and is provocative in ways "women's movies" usually aren’t. The film is adapted from a potent novella by Doris Lessing, one of our greatest contemporary writers. Also on the slate: an appraisal of the 50th anniversary of LE JOLI MAI, opening at Northwest Film Forum.